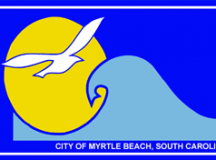 Post Tagged with: "city ordinance"
Myrtle Beach City Council passed first reading of an ordinance Tuesday aimed at controlling Atlantic Beach Bikefest crowds. 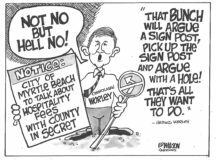 The ordinance can only be described as the result of an apparent collective mental breakdown on the part of Myrtle Beach city officials. 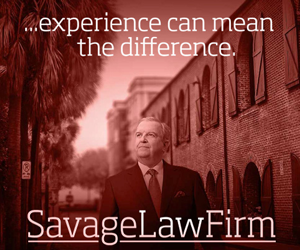 Supposedly for use during “extraordinary events”, the ordinance specifically names Memorial Day weekend as an extraordinary event, thereby establishing de facto martial law in Myrtle Beach for that weekend. Among other things, the ordinance allows the city manager to close private businesses, require private property owners to employ private security, close public streets and makes the possession of a number of objects, some as innocuous as backpacks, coolers, bottles and pets, violations subject to arrest.